Dystocia in dogs may be a breeder's worst nightmare, but it doesn't have to be if you are prepared. A good place to start is by predicting mom dog's whelping date. It is estimated that 99 percent of dogs give birth 63 days following ovulation, which takes place when the dam's serum progesterone concentration level increases above 5 ng/dl, explains Dr. Scott P. Shaw a veterinarian Diplomate of the American College of Veterinary Emergency and Critical Care. Of course, determining when this happens is just guesswork unless you have your vet conduct a quantitative assay through cytology to determine the first day of diestrus, which takes place six days after ovulation. Many breeders determine the approximate whelping date by simply counting 63 days from the day of mating; however, this is a mistake considering that, as Dr. Scott Shaw explained, 63 days should be counted following ovulation (not the actual day of mating). If counting from the day of mating, it would be more accurate to predict the whelping day to occur anywhere between day 57 and day 72 following the breeding. The reason for this wider range is because a female dog may have been bred before or after ovulation and may have successfully become pregnant. Dogs bred after ovulation will seem to have a shorter pregnancy compared to dogs bred prior to ovulation. As whelping day gets closer, responsible breeders can, therefore, prepare in advance in case their dog will experience birthing difficulties. Owners of breeds known for having difficulties whelping naturally (apple head Chihuahuas, Boston terriers, bulldogs, etc.) should make arrangements for an elective cesarean section. 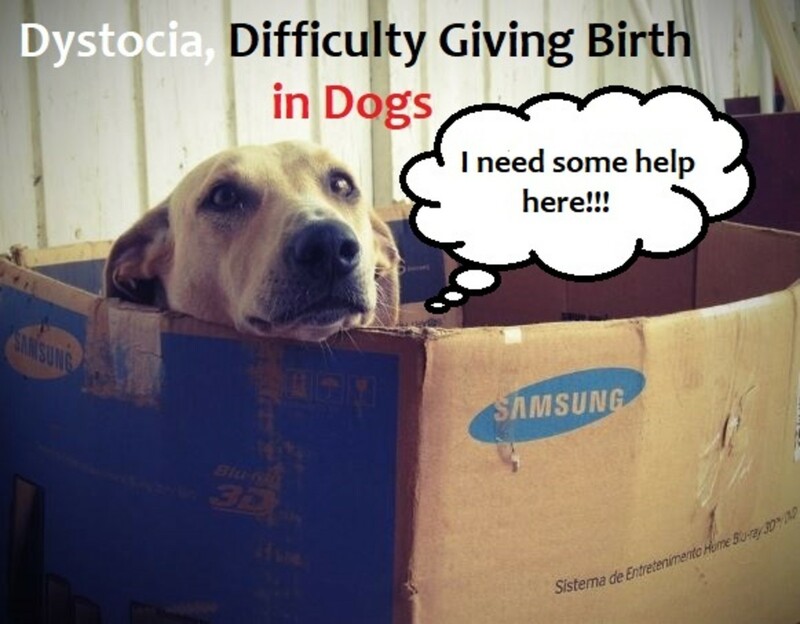 Difficulties in giving birth in dogs may stem for a variety of reasons. 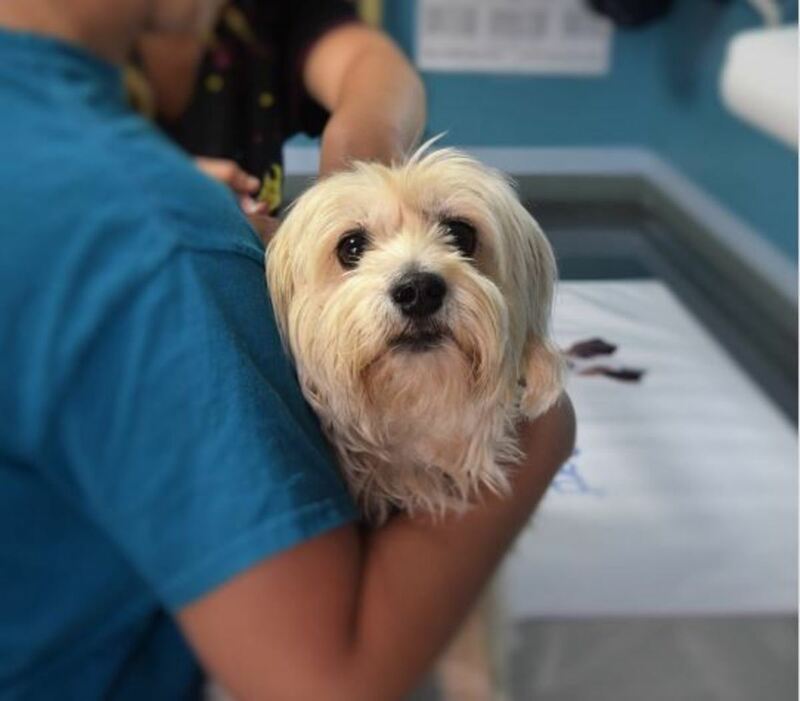 Here is some information about dystocia in dogs from veterinarian Dr. Ivana Vukasinovic. As the whelping day nears, dog owners should start taking their dams' temperature once or twice daily. A decrease below 99 F indicates that the dam should begin the birthing process within 24 hours. Dystocia is a professional medical term used to describe a diagnosis of a difficult or abnormal birth. The term derives from the Greek words dys (difficult) and tokos (birth). Difficulty giving birth in dogs may occur due to many factors and may take place during all stages of labor, but the factors can be divided into two main groups based on their origin: maternal dystocia and fetal dystocia. A special subtype would be placental dystocia or difficulty in the delivery of the placenta. Maternal dystocia is more common type occurring in 60% of all cases. Uterine inertia (inactivity) is an inability to expel a fetus although there is no obstruction. Uterine inertia may be primary or secondary. Primary Uterine Inertia: Primary uterine inertia is basically a failure to initiate uterine contractions. Causes for primary uterine inertia are a litter that is too small or a litter that is too large, hereditary predisposition (some breeds are more predisposed to dystocia, like Boston terriers), age, systemic conditions (like gestational diabetes), inflammation of the uterus, nutritional imbalance or neuroendocrine problems. Also, a previous history of dystocia is very important for diagnosis. Secondary Uterine Inertia: Secondary uterine inertia is the interruption or complete stop of uterine contractions which are caused by the uterine's inability itself to contract. Secondary inertia mostly occurs during long labors when the muscles of the uterus are exhausted after contracting. The usual reasons include the size of the birth canal (too narrow pelvis), previous pelvic trauma or abnormal/immature pelvis, tumors, malformations, stricture of birth passage, torsion, uterine or vaginal prolapse, lack of proper cervical dilatation and vaginal hyperplasia. Fetal Dystocia: The primary reason for fetal dystocia, on the other hand, is malpresentation of the fetus (abnormal presentation during birth), and this wrong orientation amounts to 40% of fetal dystocia cases. Other reasons include an oversized fetus, malformation of the fetus and fetal death. Dystocia may take place when the father is considerably larger than the mother. Stage 1 of labor starts with uterine contractions, water breaking, and cervix dilatation. Start of this stage is marked by a drop in rectal temperature (<37.7 °C). Stage II of labor is the stage in which the fetuses are pushed out. From the start of stage II till the delivery of the first pup, the average time is around 4 hours. After that, the time between two deliveries is usually from 30 minutes to an hour, but it should not be longer than 4 hours. Stage III of labor is delivery of fetal membranes. Membranes usually come right after the fetus, but sometimes one or two fetuses are followed by appropriate numbers of membranes. 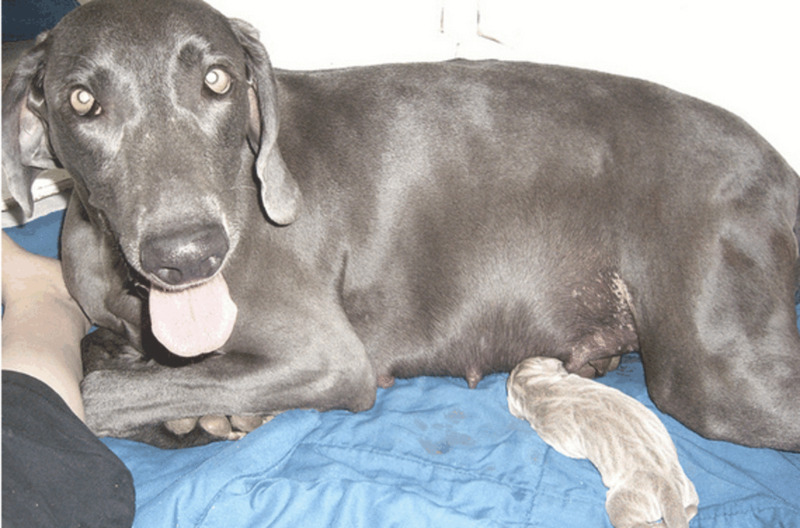 When Is Dystocia Suspected in Dogs? Presence of increased temperature (39,2C) for 12 to 24 hours. Your vet will check for obstructions in the birth canal and fetal malposition since these require immediate intervention. 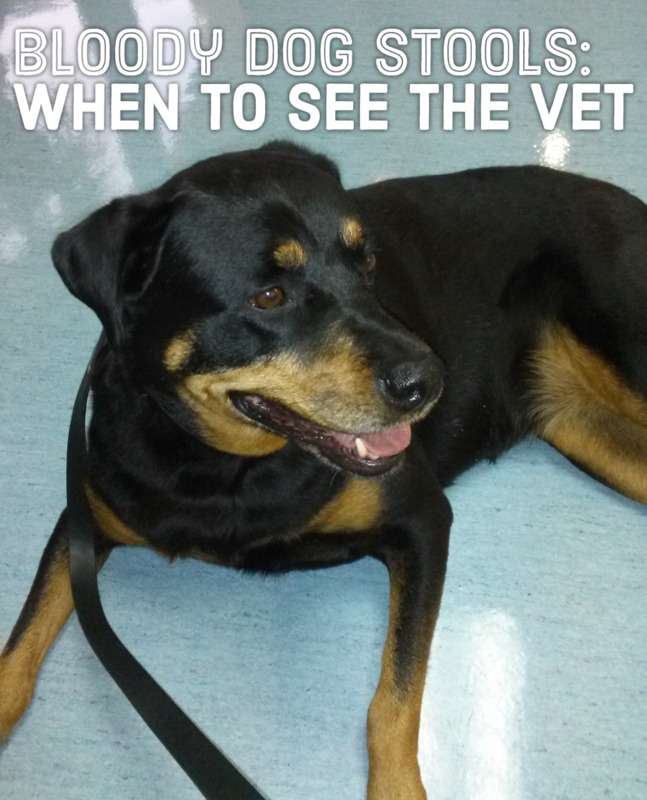 See your vet promptly if your dog has difficulty giving birth. 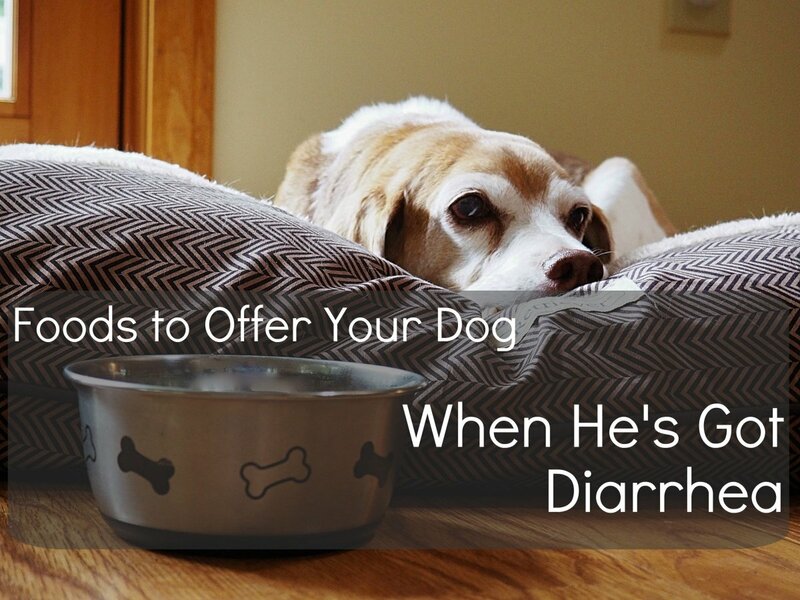 If you notice any signs of dystocia in your dog, consult with your vet promptly. You may have to see your vet so that your vet can take quick action and ensure a successful delivery. It is very important for the vet to determine the proper the cause of dystocia which may be non-obstructive or obstructive. Diagnostic methods for proper diagnosis should take into account proper anamnesis and case history—past pregnancies, breeding dates, health condition, signs of systemic illness, analysis of vaginal discharge, palpation and vaginal examination (cervical examination is usually impossible). X-rays may be needed to determine the size, number, and location of fetuses. An ultrasound, which may check for fetal viability, can be crucial for diagnosis. 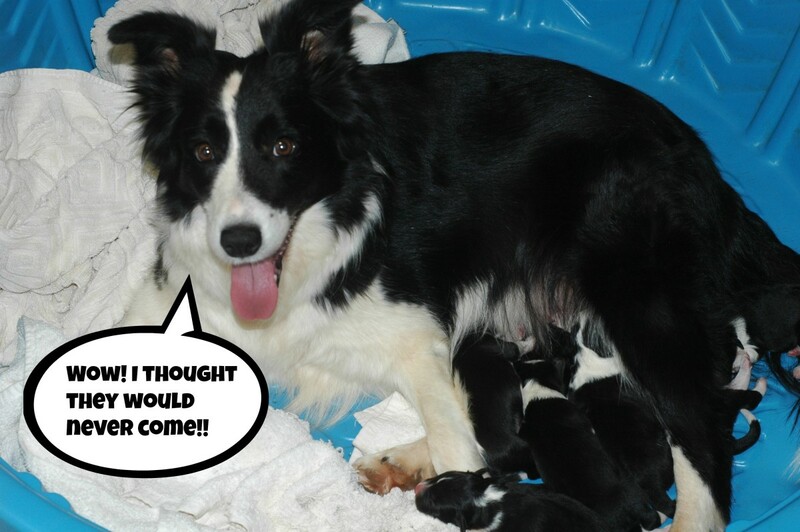 If the vet has determined a dog is having difficulties in giving birth what happens next? If a fetus is logged in the birth canal, the veterinarian may attempt to extract it (fetal extraction). If obstruction or anatomical difficulties have been ruled out, stimulation of uterine contractions is the next step in the process. 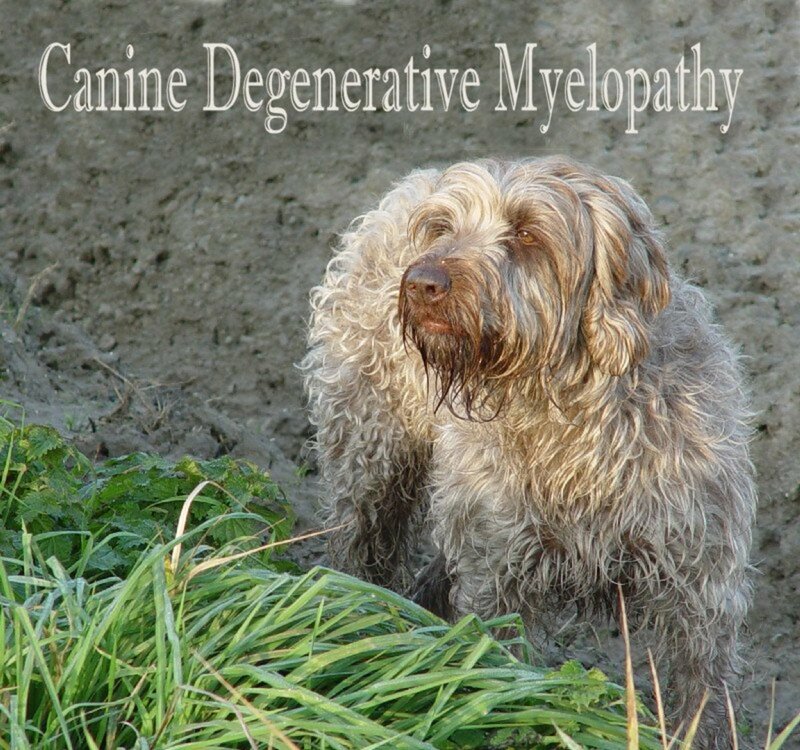 Sometimes, contractions can be stimulated by walking the dog and massage of the dog, but that is very unlikely. When there is no obstruction and the dam and the fetuses are stable and the fetuses are in proper position; medical management is the next course of action. 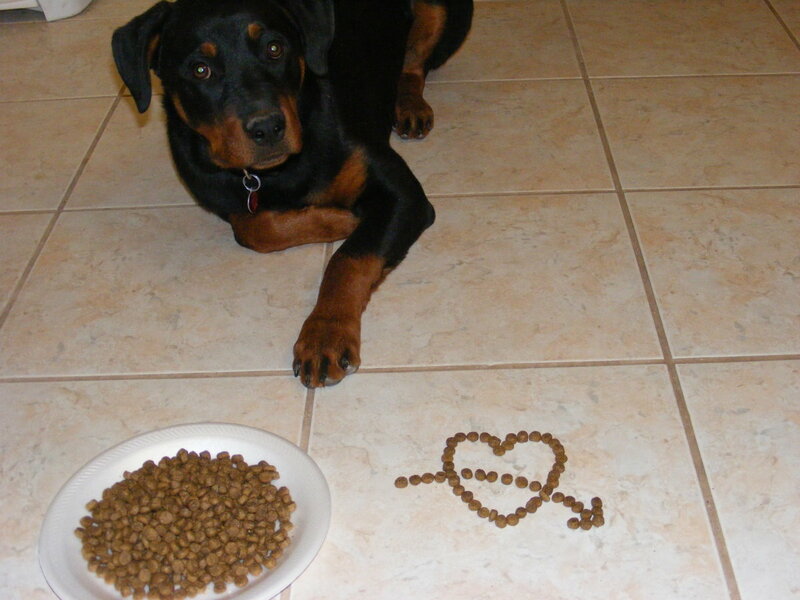 Oxytocin is a drug that is commonly used in veterinary medicine to stimulate labor in dogs. Oxytocin is actually a hormone produced normally during labor. The vet may administer 0.5 to 1 milliunits through IV infusion per hour. At 30 to 60 minute intervals the dose should be gradually increased in increments of 1 to 2 milliunits until the desired contraction pattern has been established, accompanied with or without 10% calcium gluconate. Miller-Keane Encyclopedia and Dictionary of Medicine, Nursing, and Allied Health, Seventh Edition. © 2003 by Saunders, an imprint of Elsevier, Inc.
Our dog an Alsation cross, gave birth to 6 puppies. One of them was not responding, so my husband placed it in a towel and rubbed its little body. The pup was fine after five minutes, phew! great advice, luckily we didn't need it back then, but great for people who do. Same here. 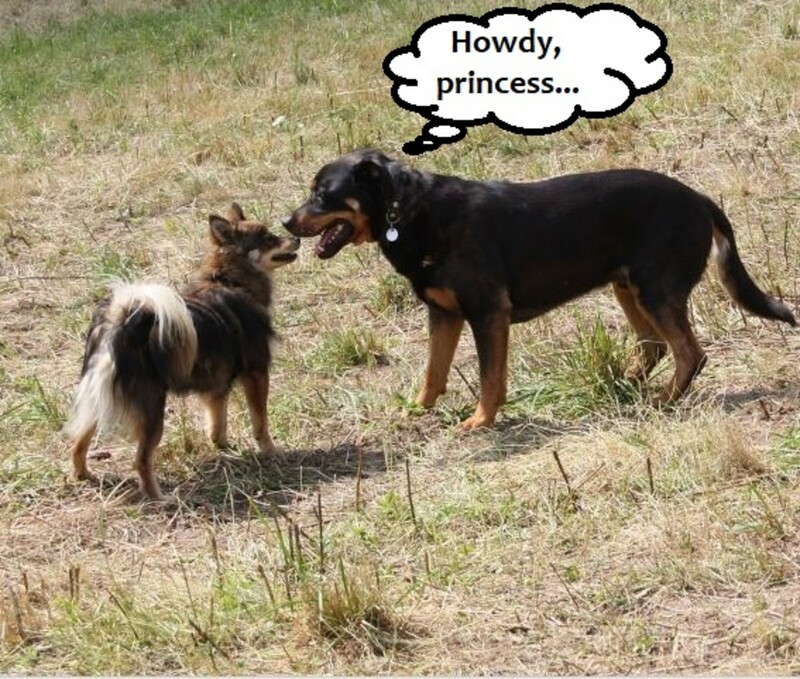 Our dogs were always spayed and neutered and so were our cats and horses. Several dog breeds with large heads and narrow hips are prone to birthing problems. Many are brachicephalic dog breeds. The apple head Chihuahua is more prone to dystocia compared to the deer head. All of my parents dogs were spayed or neutered and so have ours been so we have never needed this type of information. 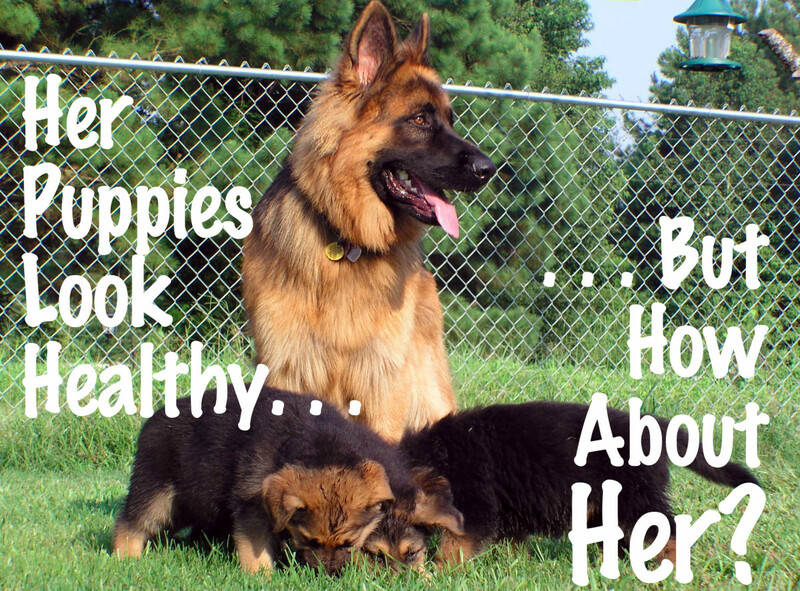 It is good to know however for those who breed dogs. It is a shame that certain breeds seem to have birthing problems.